No, ADF BC REST is available from 12c only. Thought I have a question that is there any way to handle the exceptions in ADF BC REST supported by ADF? 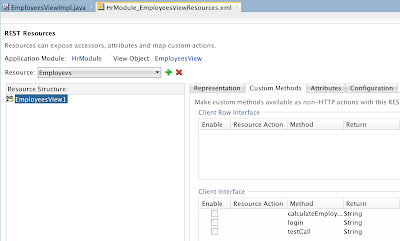 Because I'm implementing the ADF BC REST service on views with custom methods and I want to handle the exceptions then return the response (with corresponding status) to client. Do we have anyway to do that ? I've searched the solution but found nothing. 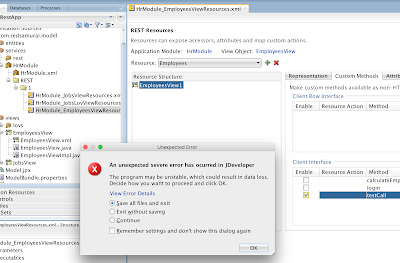 Probably you need to handle exception in ADF BC REST Java code and return error message text back to the service. 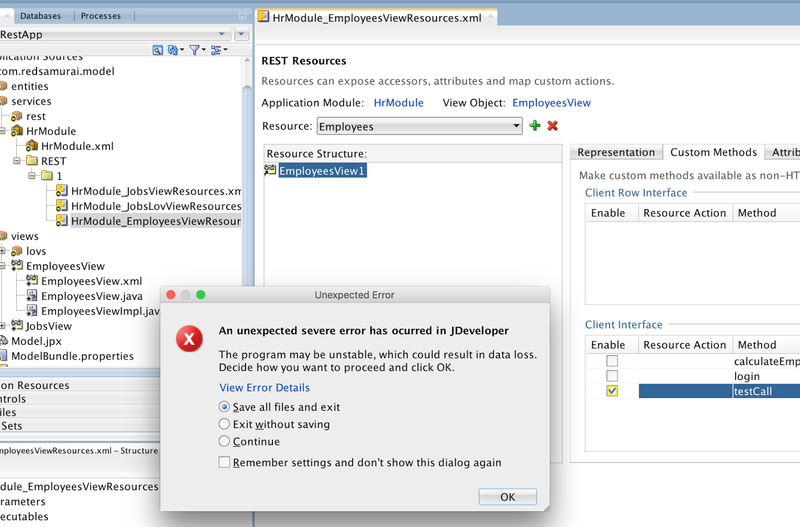 Will above example work on JDEV Studio Edition Version 12.2.1.0.0? Because, I'm getting error "JBO-27511: Error occurred due to invalid attribute being passed in input payload. Attribute: "name""
Yes, will work. Make sure you are passing correct Content-Type mentioned in my post. Do you know how can we pass input variable which is of type ArrayList object to a custom method exposed as custom method in ADF REST? 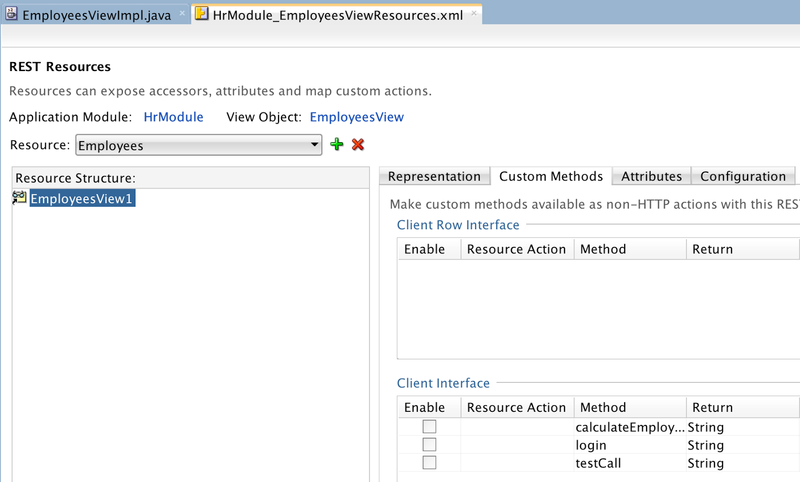 We have a requirement to take multiple Id's in a array/list to java custom method and use them further in logic. 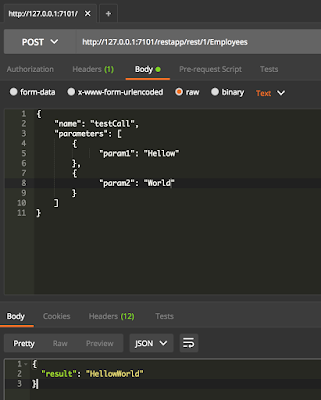 Now the question is how can we pass the input in Json while executing REST API POST request? I tried below JSON payload but it is failing. 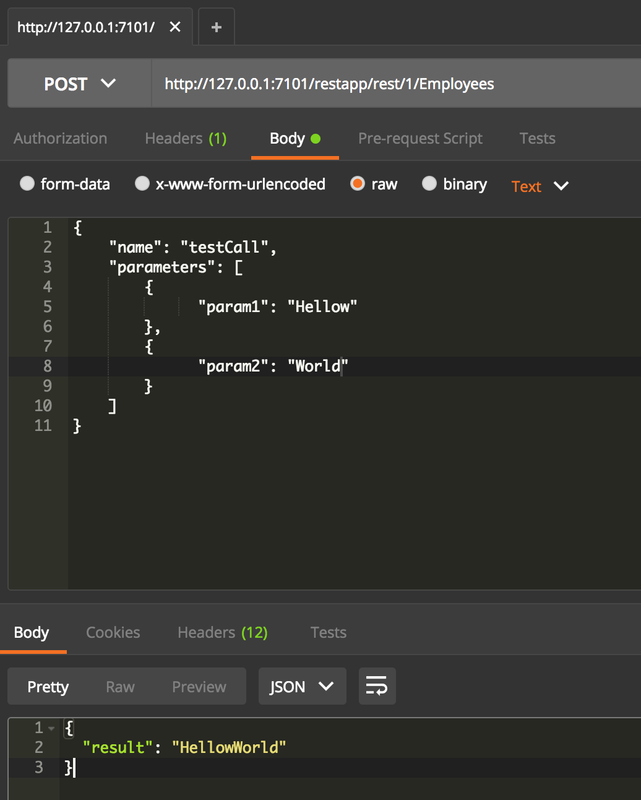 "detail": "The request content does not represent an action or it has an invalid structure."